Originating in Korea, black garlic has been generating quite a buzz in American kitchens lately. Black garlic is created through a process of fermentation combined with high heat over a long period of time resulting in rich, amazingly black cloves. 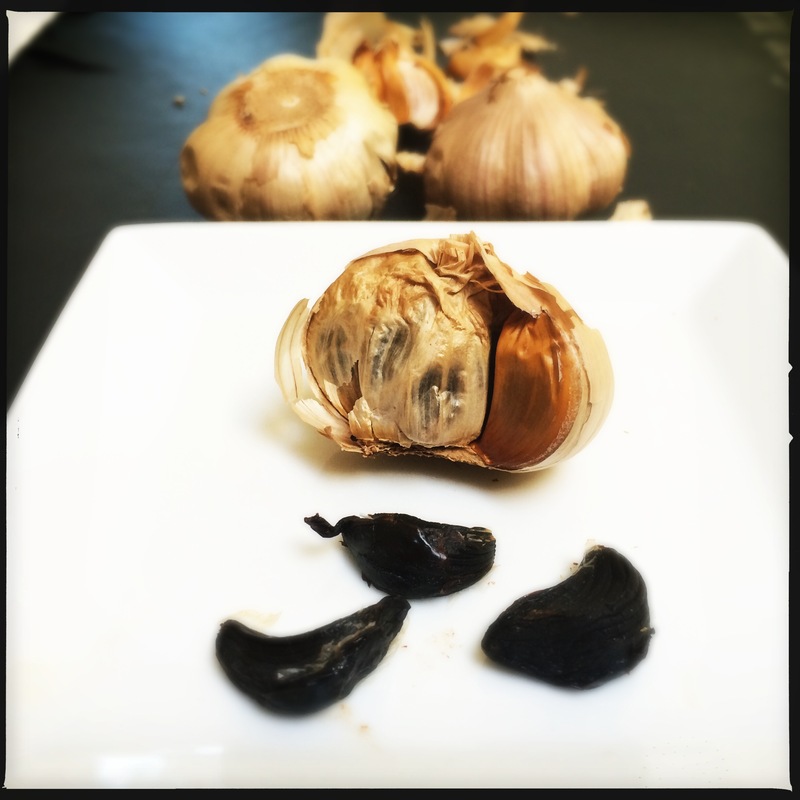 Black garlic is thought to be beneficial to health because of its high antioxidant qualities. The flesh has a chewy, dense, sticky texture with an intense, nutty, yet slightly sweet, molasses flavor. The deepness of the flavor is quite different than garlic in its raw state, so much so, that the word “caramelized” comes immediately to mind. The flavor profile is complex and intense, but not at all in a biting way. It easily skips across the line into umami, the most fashionable fifth primary taste that falls in right after sweet, sour, salty, and bitter. 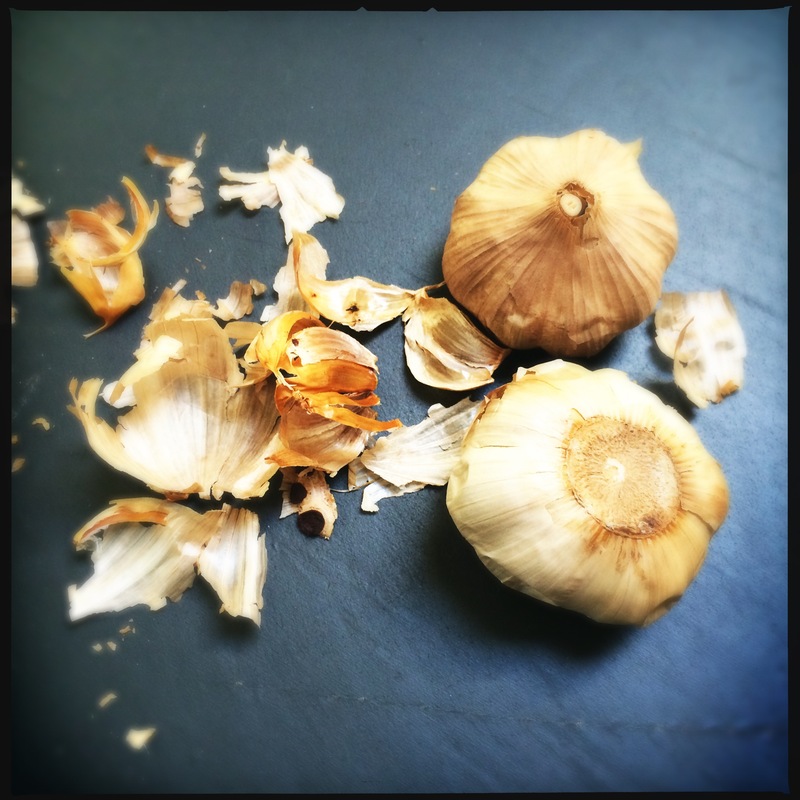 Although black garlic can be used in addition to regular garlic, I don’t agree that it could or should be used in place of it, as many continue to suggest. Black garlic enhances rather than stands alone, and it needs other flavors to latch onto and pair with in order to spotlight its finer qualities. You should definitely try it on pasta, pizza, in salad dressings, or to enhance any Asian dish, but to date, I think people are really just beginning to understand the potential of this powerful ingredient. 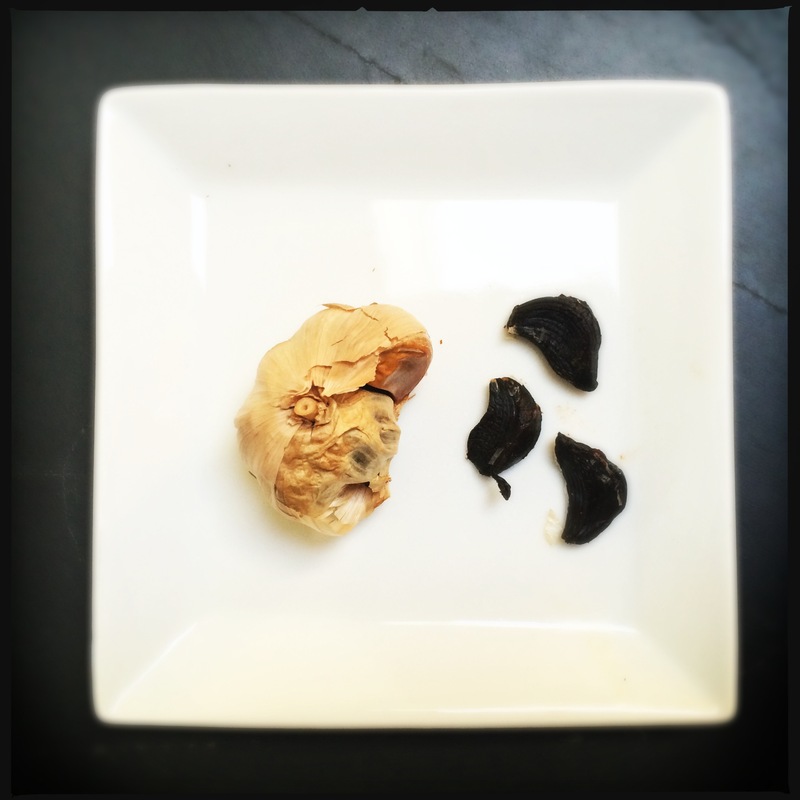 Just a few simple rough ideas came to me after I first tasted black garlic. I would suggest using it to enhance sauces and condiments. I could definitely see it pairing extremely well with risottos and as a finishing last touch to most creamy dishes. I think it would be great to flavor butter with and use as a topping on grilled steak. However, I disagree with the masses that condone swapping out black garlic for regular garlic. Believe it or not, the fermentation process involved in creating black garlic makes its flavor profile way too different from garlic in its natural state. All the more reason for you to try it! If you’d like to taste black garlic, you can buy it at Kalustyans in New York City, or H-Mart at the White Planes, New York location. Once you’ve tasted it, visit me again and let me know how you used it! Next Next post: No Beefs About Australian Grass-Fed Beef!